April 15th - "D-Day" (deadline day) for filing your income tax, or if you're like me - an extension. If you are lucky enough to be receiving a refund, here are some ideas on how you can re-invest them into one of your biggest assets - your home. It may not be as instantly gratifying as a treehouse vacation in Costa Rica, but spending your tax refund to pay down your mortgage principal could save you enough funds to take a splurge-loaded vacation a bit later. Letâ€™s assume you have a 30-year-loan at the average loan amount of $292,000, a 4.5% interest rate, and youâ€™re getting that average refund of about $3,000. If you apply that â€œfoundâ€ money to your principal each year, CPA Micah Fraim of Roanoke, Va., says you can shave years off your mortgage - in this case, nearly four. Thatâ€™s about 95 mortgage payments you wonâ€™t need to make! Even better is the more than $70,000 that youâ€™ll save in interest payments over the life of the loan. If you donâ€™t want to make an annual commitment, think about this: Make that payment just once and youâ€™ll cut seven months off your payments and save more than $8,000 in interest. And when you decide to sell, youâ€™ll have more equity. Invest it in staging, and you may be surprised by how quickly your home gets plucked from the market. â€œStaging lets prospective buyers see the space as their own, instead of as belonging to the people who currently live there,â€ said Ashley Lewkowicz, owner of Ashley Kay Design in Bucks County, Pa.
Not only is a faster sale better for your bank account in terms of saved mortgage payments and utility bills, but a drawn-out listing can cause a homeâ€™s price to wilt. That makes those throw pillows, decorative bath salts, and rented furniture way worth the investment. For a large, suburban home in a major metro area, staging can cost about $2,000 upfront, and then about $500 per month for furniture and accessory rentals, according to Lewkowicz. But a faster sale at a higher price can definitely more than double your money over the course of the sales process. And most staging can be accomplished with simple little touches. Who knew your home could be your own personal ATM? For many DIYers, putting that $3,000 tax return into small home improvements can result in getting far more than their investment out of the house later. 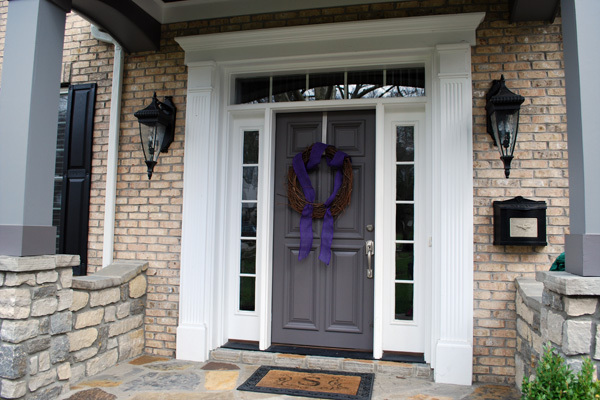 A new steel front door costs about $250, but can add about $1,500 when you sell. New wood flooring costs about $1,770, but is worth $5,000 when you sell. Even new insulation, which costs about $700, can recoup about $2,000 at sale. If youâ€™re willing to scope materials yourself and put in a little elbow grease, your tax return can fund a renovation for you to enjoy now and reap the financial benefits later. Need more ideas? Give me a call, I'd be happy to consult!